In the world of flash carts, one name stands out from the rest: Krikzz. This individual has produced a long line of carts for various retro systems, including the NES, SNES, Mega Drive / Genesis and N64. With each product the aim is simple - make the user experience as seamless as possible without the need for additional software or legwork on behalf of the user. 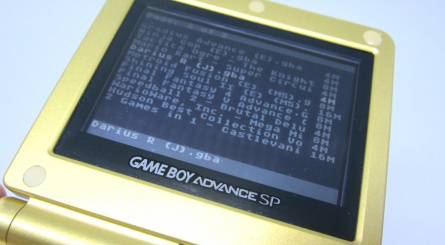 However, Krikzz's latest venture has perhaps proven to be his most taxing yet - producing a flash cart for the Game Boy Advance. As those of you who have any experience with existing GBA flash cards will attest, the options available up to now haven't been great. Many require users to manually patch ROM files in order to get them working, a process which isn't too difficult on case-by-case basis but is tiresome if you have a large library of games. 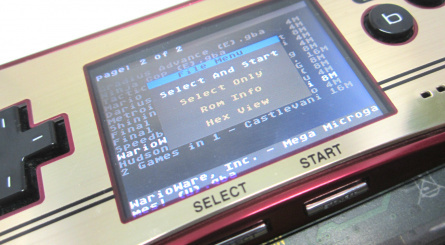 As with his other flash carts, Krikzz's Everdrive GBA X5 is a simple drag-and-drop affair; all you have to do is download the correct OS from the official site and copy it to your MicroSD card (capacities up to 64GB are apparently supported) and then shift over your ROMs in .gba format. The process really couldn't be easier, and it's this blissfully straightforward approach which has made the Everdrive range so popular over the years. 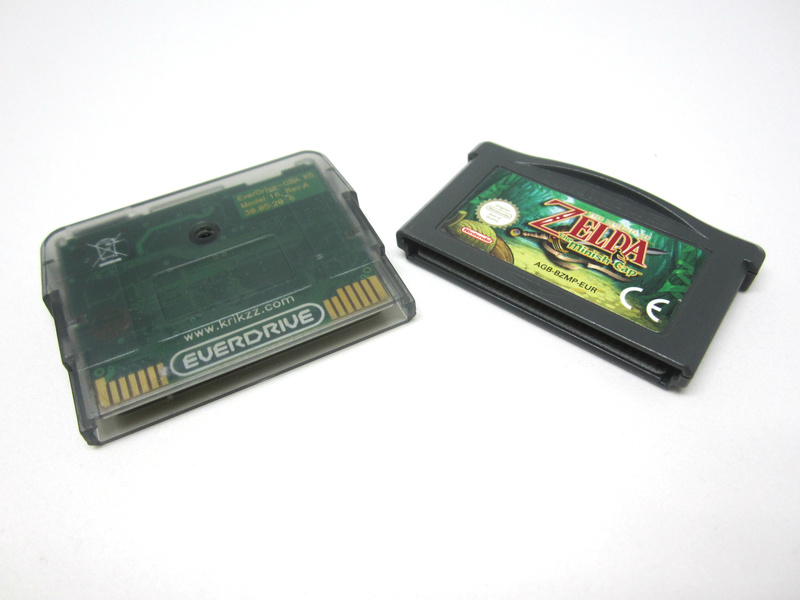 In physical terms, the Everdrive GBA X5 is a little larger than a standard GBA cartridge, which means that it sticks out of the console when in use. While this will come as a disappointment to some, it's hardly a deal breaker. The board inside the cart is a certain size and it's clear that Krikzz - at this moment in time, at least - is unable to shrink it down any further. It might ruin the aesthetic look of your console, but it won't get in the way during gameplay. In terms of compatibility, Krikzz promises "99.9 percent" support for GBA games, and while we didn't find any ROMs which refused to load, it would be wise to expect to some exceptions. 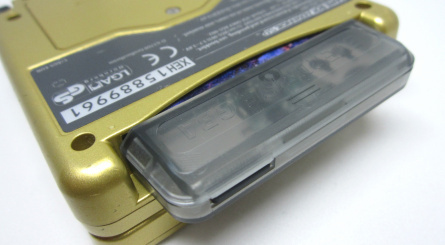 Save games work perfectly, and the presence of a battery inside the cart means that the time-based events in games like Pokémon Emerald work perfectly. Irrespective of ROM size games load very quickly - a couple of seconds on average - and despite its versatility, the Everdrive GBA X5 consumes very little power so it won't drain your battery unduly. 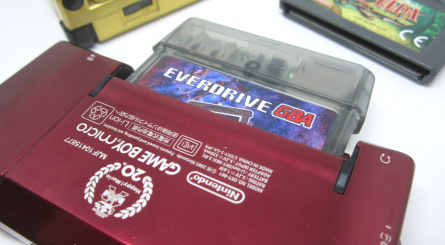 The Everdrive GBA X5 works on all versions of the Game Boy Advance hardware, as well as the Nintendo DS, DS Lite and GameCube Game Boy Player. The only downside is that despite some GBA variants offering backwards compatibility with Game Boy and Game Boy Color software, the Everdrive GBA X5 cannot run ROMs for these systems. 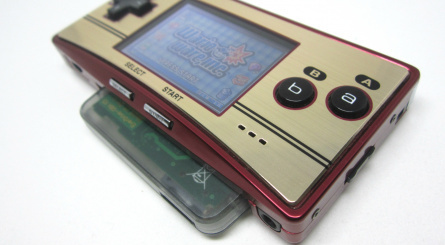 This is because there is a physical switch inside the GBA and GBA SP consoles which triggers the Game Boy/Game Boy Color mode, and this cannot be enabled on a flash cart without removing the ability to run standard GBA software. Like Krikzz's other flash carts, the Everdrive GBA X5 isn't cheap - you can expect to part with almost £100 to own one - but it should be remembered that these are custom devices produced in small batches by a single person, not by a company which is capable of funding mass-producing in a factory in order to reduce costs. It also goes without saying that downloading ROMs online is a risky business in legal terms, so if you have any moral objections to the idea then you really shouldn't entertain a purchase - unless of course you're keen to experience the various unreleased or homebrew GBA titles which have been published on the web in recent years. 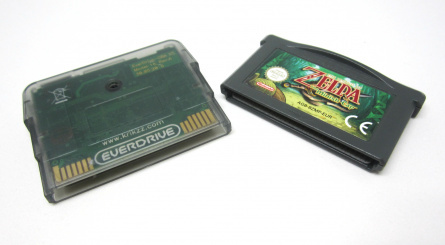 The Everdrive GBA X5 offers a means of playing these files on original hardware, rather than via emulation. As with Krikzz's other devices, the Everdrive GBA X5 is easy to use, well made and packed with functionality - and thanks to the upgradeable nature of the OS, it can only get better with time. 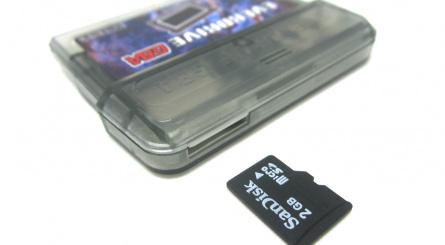 The high cost is a drawback, as is the fact that it's slightly larger than a typical GBA cartridge, but these are minor quibbles in the light of the fact that it allows you to carry your entire GBA library without having to lug around pocketfuls of carts. 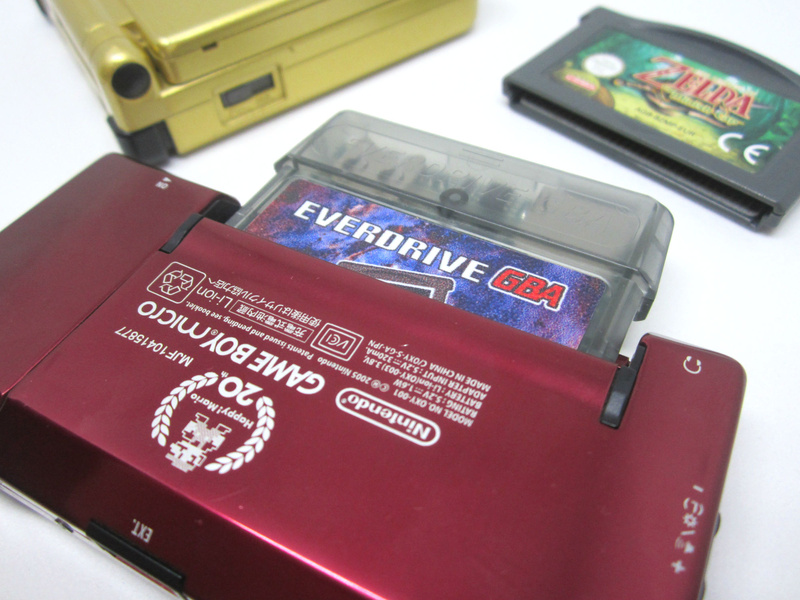 Thanks to Retro Towers for supplying the Everdrive GBA X5 used in this review. if you listen carefully, you can hear the sirens outside nlife towers. to your jetpacks, boys! I don't want to play pirated games anymore. This is really good. A must buy. 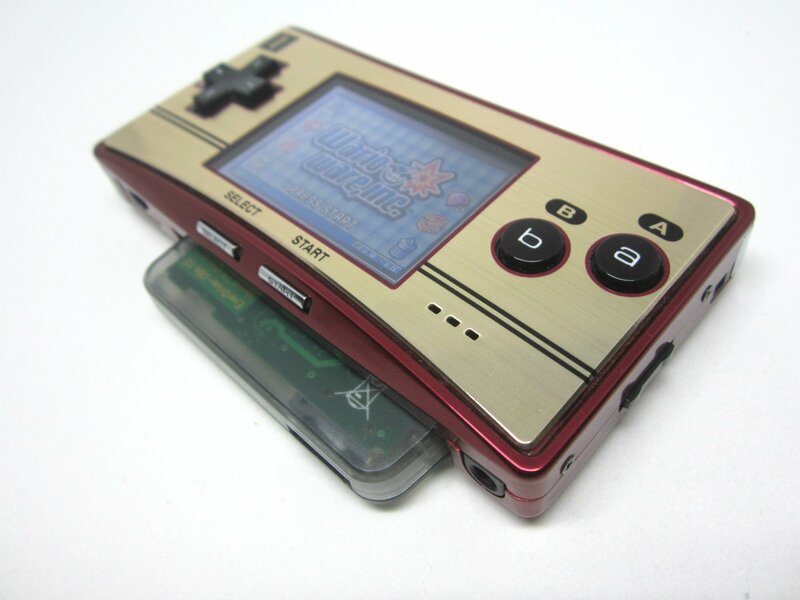 It would be truly awesome if someone could make one of these that sat flush with the likes of the GBA SP and Game Boy micro—one day I'm sure it will be possible—but this is still cool. @Kirk would be nice but this saves me from carrying four games. I have the snes everdrive. They are brilliant. Regarding GB/GBC compatability: Track down Goomba Color. It's an extra layer of inconvenience on a flashcart you're specifically buying for convenience's sake, but it's better than nothing. 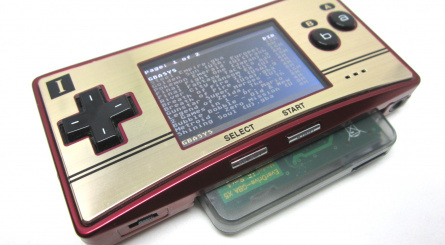 Means you can play on the GB Micro too. This would have been great back in the day but you can buy way cheaper alternatives for DS. And DS has many more advantages. I think I'll stick to my EZ-Flash IV, no problem. Works fine as it is, I don't really need to waste that amount of money for drag-n-drop and an oversized catridge. I have a distinct feeling this is the only way I will ever be able to enjoy "Ninja Five-O" on any of my GBAs. Kudos to Krikzz for still delivering all these neat products. I was fast enough to buy it couple weeks ago on Amazon. Recently, the item has been sold. I used to use my EZ IV, but this one is a lot better in every way. High compatibility, fast load, no glitches, easy to use menu. Every fan of the GBA should have this one. Just got mine in the post this morning. Cost €120 including postage to Ireland. Can't wait to give it a go at the weekend. EDIT: was waiting for this to arrive for 3 months, so I don't even miss the money I spent if it now and I have it for life too. As is implied by the name "everdrive", the most important use of these devices is not piracy, but the fact that games can be archived & kept forever, with unlimited reproduction of games, whilst still being accessible on original hardware. Original cartridges can degrade over time, become broken, lost or stolen, & in 100 years time, certain rarer titles could be completely lost. With the backwards compatibility of all new hard drives, flash drives & web storage, losing rom files is virtually impossible - and these kinds of devices mean that we'll always have access to them. That, and it's darn cool to be able to have all the games you own available at once without having to carry them around & swap them, risking loss and damage everytime. I own many PSP games on UMD, but I much prefered having them all on a single flashcard that it can load without wearing out the drive. You all know there is going to be an X7 version right with enhanced features and perform better in the nearish future, just look on the forums. 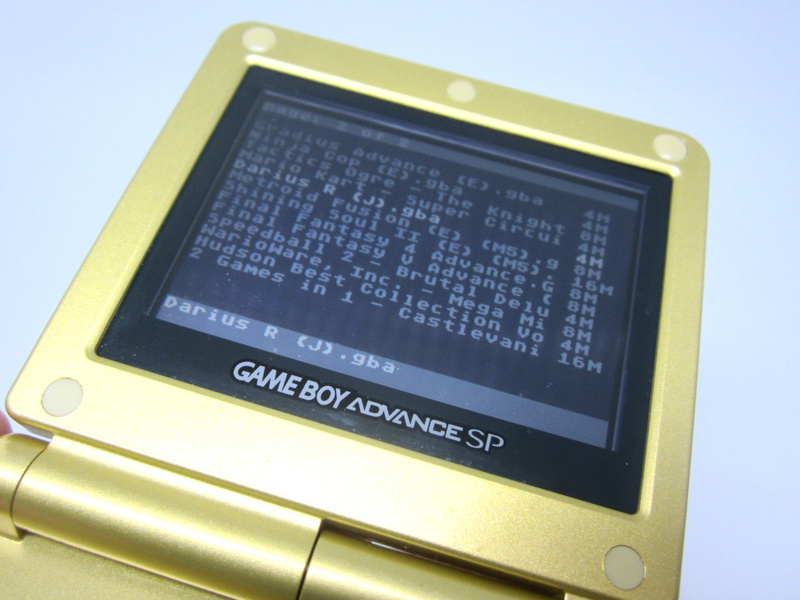 @samuelvictor Not to mention they're great for rom hacks and homebrew. It does kind of make me wonder, why not rerelease some of these games in cartridge format? 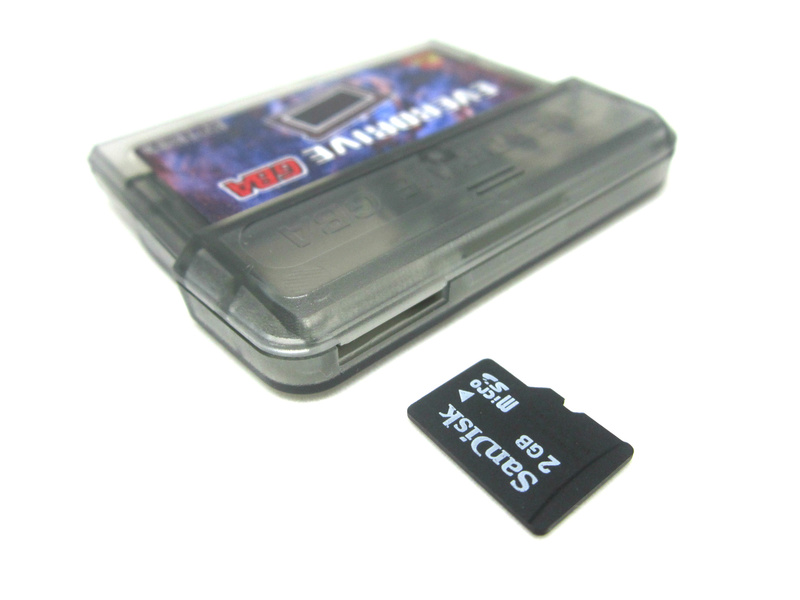 I mean we have repro games that just stick some flash memory in a plastic shell shaped like a cart with a pin connector. It seems like with something like the nes mini there's enough of a market for official reproduction games. Especially for some of the more rare and expensive games. Sure a purist collector won't want them and they should be clearly marked as reproduction, but most retro gamers are more interested in playing the games than having perfect condition super expensive rare games. @Damo Thanks mate. I've noticed that lots of these style posts end up with "but... piracy... illegal..." discussions. I would 100% buy legal reproductions of old rare/valuable games. Two of my favourite games are Panzer Dragoon Saga and Radient Silvergun - but several times over the years I have sold copies, as they are worth so much and I've needed the cash. But I always regret it and re-buy copies, which loses a tonne of cash in the process as they always go up in value! Didn't NintendoLife used to have a policy against promoting, or even discussing, downloading ROM's (i.e. piracy)? And now it's reviewing products as pirating devices, and even describes piracy as "risky business in legal terms" (it's just plain illegal; there is no gray area there). The reviewer even said that, unless you only want to play homebrew games, this device is best used for piracy. When did this site take this turn? I have an EZ-Flash IV already but for some reason it seems to not like 32MB games despite that it should, so I couldn't play the translation-patched Mother 3. Assuming this supports the Pokemon RTCs, that'll be great since my Ruby and Emerald batteries are dead. Does this mean we can talk about SD2SNES in the forums? Using EzFlash 3in1 with my NDSL for already 5 years, and its doing well. 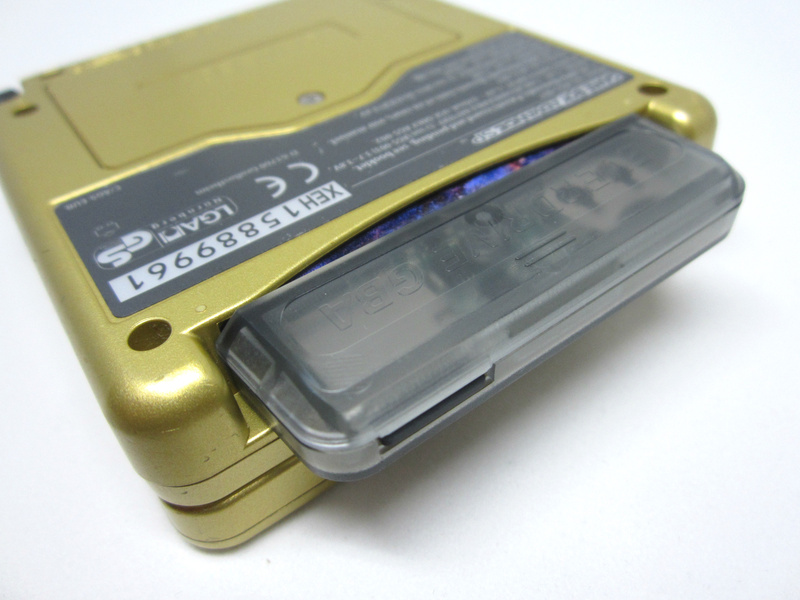 Btw it fits to gba slot. @KingMike You can play 32MB games by writing them in the NOR memory of the cartridge. Highlight the game, press Select and then A. I have beaten games like Mother 3 or Pokémon Mystery Dungeon on the EZ-Flash IV that way without any problems. Never understand why Nintendo Life would draw attention to these devices, never mind review them. Why would a website that loves Nintendo promote something that Nintendo themselves would completely disapprove of???? I have Everdrive carts for NES, SNES, Sega Genesis, and GB/GBC, and they are absolutely amazing. Changed my life for the better. @TrueWiiMaster Everdrive cannot pirate games. It only plays ROMs - pirated or not. No one forces you to play pirated games. You can store your owned games' ROMs and play it on this thing. Maybe download ROMs of the games you already own (downloading a software for personal use, if you already own it physicaly, is legal in some countries btw). But obviously, most will use this device to download ROMs of games they don't own. It's just a tool to store and play multiple games on an original hardware. How it will be used depends on the people. Some people have a good use in mind (see samuelvictor posts). Some don't. A bit late to the party but I already had one of them clone GBA system (the Revo K101 I think it's called) that came with a better flash cartridge so yeah I may had to skipped on this one. Besides the Revo could emulate and play Game Boy and Game Boy Color roms as well so that already got me cover on all my Game Boy needs in terms of emulation. @fluggy Nintendo disapproves of fan made games like AMR2, should we not have covered that, either? We're a Nintendo site, not Nintendo itself. We cover all elements of Nintendo gaming, and that includes flash carts. Jesus all these high horses are tiresome. It's not like we raided Nintendo HQ and took your precious childhoods. This is for the GBA, a dead console and while you could get the games on the Wii U (stupid choice IMO) it doesn't hurt Ninty one bit if you used this. 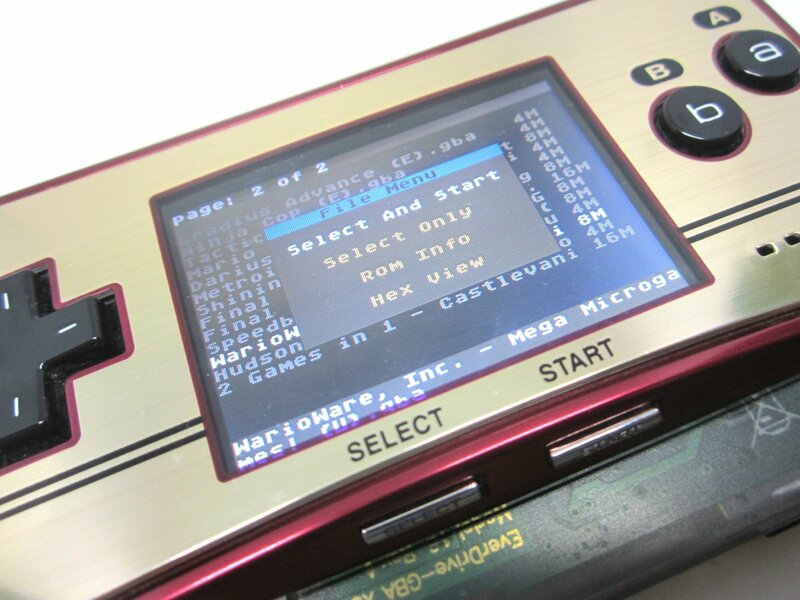 I use an EZ-Flash IV and my Micro and it's great to be able to access all of the GBA games whenever I want. That's why I said it was reviewed "as a piracy device". Generally stuff like this can have many purposes, but this reviewer practically recommended downloading ROM's, which is piracy. I've never heard of a country that allowed you to download additional copies of a game you own, but I'll take your word for it. Even so, I'm fairly certain that is not the case in most countries. Regardless, downloading these copies still supports illegal distribution. I was mostly referring to this review itself. 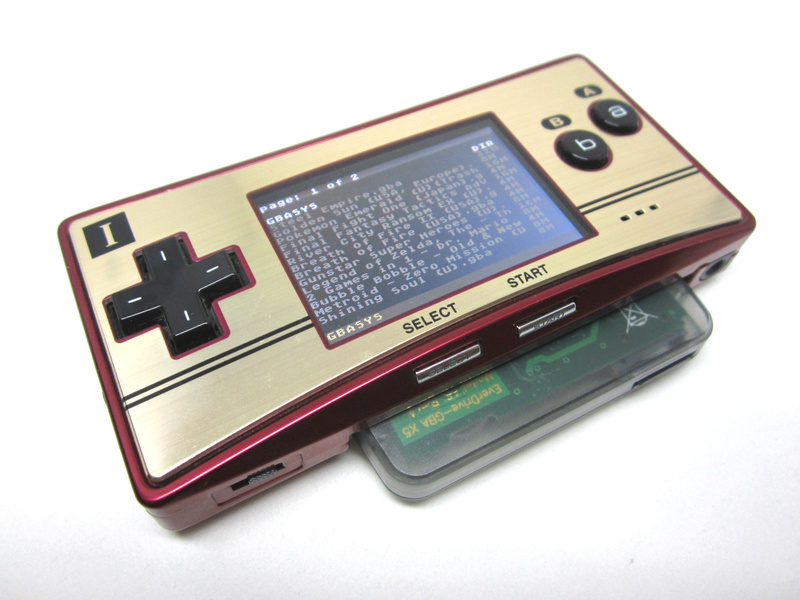 It did not say "check out this cool new flashcart to play homebrew games" (though it did mention them in passing), so much as "check out this cool new flashcart to play pirated games". @TrueWiiMaster I live in a such country but it is true there are like few of them. I will give you an example why I think it's good. Once, I bought a Therion's CD album. My discman scratched it badly like week later, removing the whole burnable layer and making one song unplayable in the middle. I think data should be somehow protected and we should be able to have at least one copy spare. Drives can go broken, accidental deletion happens or discmans destroy a CD. Some games' future lays on digital copying and sharing - the older games I mean, forgotten and unsuported. Those that can be still bought normaly should be... bought! I see what you meant. The review much hint to the piracy, which is unusual for NL. My guess is that the writter talks about the games you already own - that exuses downloading a ROM in my view. Flashcards are allways a risky topic, regardless of what the intention of the writer was. I'm definitely with you as far as back-ups go. The difference is that I think people should make their own back-ups rather than download them from someone else. That can be difficult with games, because you can't just put them in a computer and rip the data like with CD's. It would be great if a company made a device to make back-ups of your games (a Retron 5 that copied ROMs, for example), but because of current (ridiculous) laws in many countries, and the fear of making illegal distribution easier, the company would probably get sued. The problem with downloadable copies is that the download is just as available to people who don't own a copy as it is to those who do. It's a convenient way to get a back-up for legitimate owners, but it enables piracy. There is know shame to my game. I want to play some of the games I wasn't able to purchase or missed. I give Nintendo my money Bi-weekly for the most part. If they had a better VC than maybe it would be debatable. The holier than thous should really get over themselves. i don't get it, you guys are against homebrew, but you support flash cards (the easiest form of piracy). My M3 miniSD works pretty good, and I paid a lot less. Just a PSA, there are totally LEGAL ways to obtain your own ROM dumps of games, from the NES to the 3DS. Not everyone who uses flash carts for utility is a pirate; I loved my R4 card for the DS because it had a built in media player and a 128GB capacity. It was awesome. There will always be a place for things such as this until Nintendo and other companies finally wisen up and create a true platform for preserving games from entropy and preventing games from becoming patently unavailable to buy legally. Nintendolife is covering naughty things more and more on their site. That's what you get when Nintendo is seriously slacking off! Your comment... well only this comes to my mind. That usually happen when you are pokemon addi... fan. Did you try Duke Nukem Advance and/or Doom2? Their "requirements" are huge for ordinary flash cards. @Damo I'm a bit late to the party, but since flash cart talk apparently is now allowed here, how about you guys review 3DS flash carts like Gateway and Sky3DS? Or do you need a sponsor first? @KingMike I just came across your post - I'm playing Mother 3 english 1.2 on an EZ IV, I just had to use PSRAM. I think you do this by pressing start when the ROM is selected to copy it to PSRAM (takes a few minutes) and then run it from the root of the card. But the EZ IV can only have one ROM in PSRAM at a time, so if you have more than one ROM over 16,384 KB, you'll have to do this before running each one. Best of luck!